Eco-tourism has become an increasingly hot topic in the tourism industry over the past decade. Curious about what it actually meant, I decided to experience it. Eco-tourism has become an increasingly hot topic in the tourism industry over the past decade. Curious about what it actually meant, I decided to experience it. And when it comes to this type of vacationing, an ideal place to start is Tulum, Mexico. Flavorful food, breathtaking nature, friendly people, rich Mayan history and eco-friendly restaurants and hotels. Yep, welcome to Tulum. Despite the environmental issues faced by the area, like water usage and off-grid power generation, Tulum has managed to make words like “eco-friendly” and “sustainable” cool and trendy. If you are looking for a wonderful eco-friendly relaxing hotel in Tulum, there is only ONE place: Jashita Hotel. This small luxury hotel is located in the turquoise Soliman bay, probably the most protected bay of the Riviera Maya, which allowed us to swim and snorkel safely. I can’t begin to say how wonderful this place is. Sophisticated, eco-friendly, comfortable, relaxing and authentic. From the moment you arrive, you will be transported into the magical, exquisite enchantment of this place. Guests are encouraged to reconnect with nature by living the simple life. This time, I went there to discover the Jashita Caoba Spa, where you can relax, be present and let your stress roll away by the sound of the sea. There, you will be able to completely disconnect and immerse yourself into the nature and total bliss of the surrounding area. 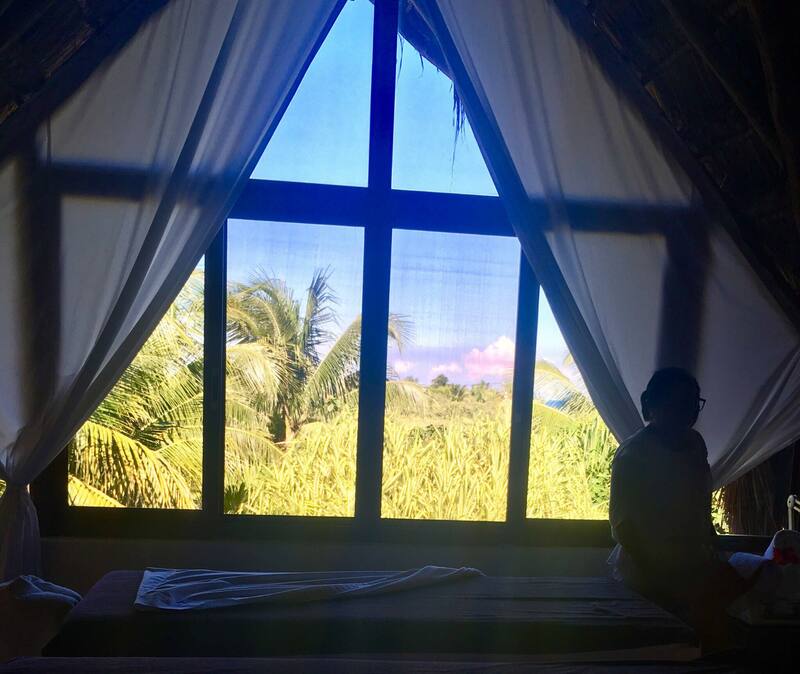 I tried the Maya Ancestral Massage, an energetic massage using native oils which balances the mind and soul, and rearranges the energies in your being. Delightful! The hotel has a new Yoga studio, suspended above the beach with a spectacular view of Soliman Bay, surrounded by the forest, you will experience magic classes. The beach was honestly one the most beautiful beaches I have ever seen – and this is coming from a self-confessed beach snob. Diving and snorkeling in front of Jashita beach is an experience you can’t miss. The staff is very friendly and attentive. It felt like home away from home. I really enjoyed our morning routines as well. The hotel serves a healthy but tasty breakfast in front of the sea. The restaurant’s hotel not only serves high-quality traditional Mexican cuisine but also delicious Italian food such as homemade pastas, inspired by the Venetian owner’s traditional Italian family recipes. 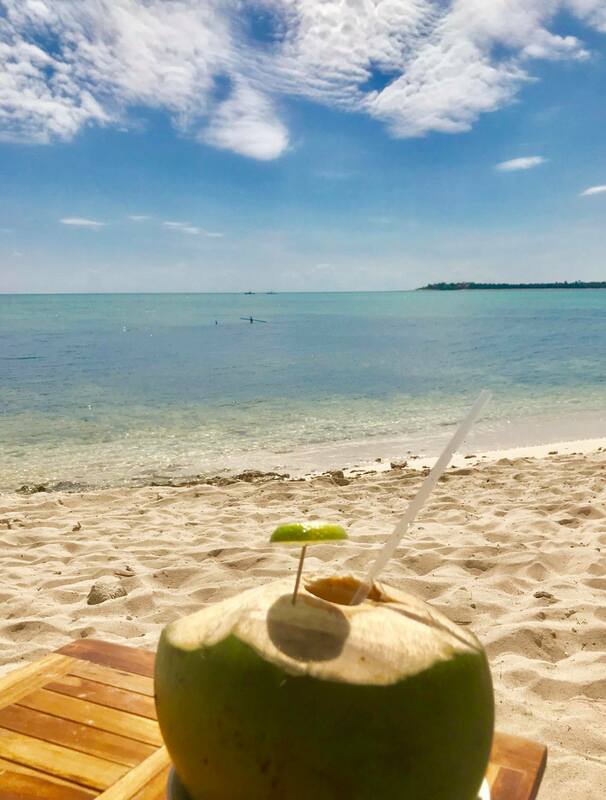 The hotel is ideally located as you feel completely isolated and disconnected from the world, but at the same time, you are also very close to the center of Tulum – the local “pueblo”- as well as the different archeological sites in the area. 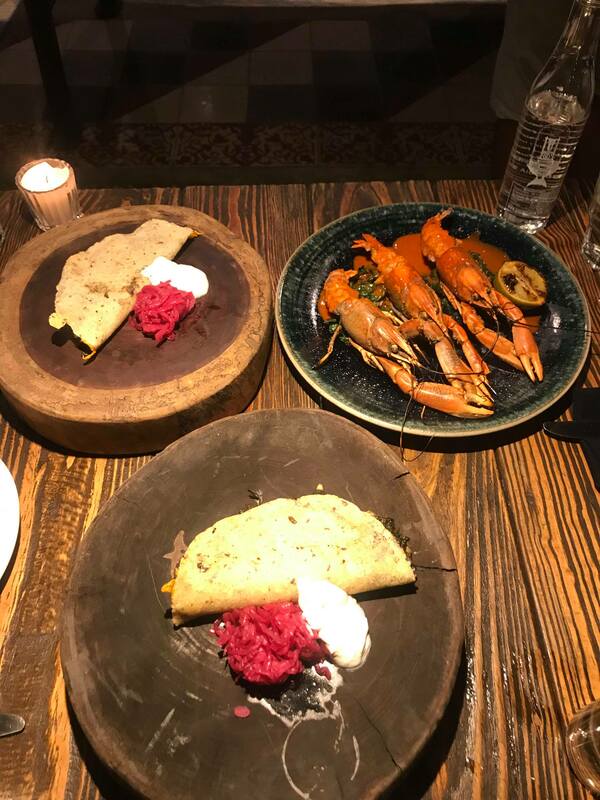 If you would like to have dinner outside of the hotel, I highly recommend Kitchen Table, my favorite restaurant in Tulum. Exceptional food, an eco-friendly setting and impeccable service. This restaurant was built using reused and natural materials native from the region and designed to have minimal ecological impact. For example, the energy used is produced by solar panels. My favorite dish is still the excellent “huitlacoche quesadilla”. Probably the best dish I had in Tulum. Keep in mind that Tulum is about an hour and half away from Cancun airport so you will need to book transportation. I highly recommend Cancun Airport Transportation, a wonderful transportation company with 20 years of experience providing private, safe and comfortable transportation from and to the airport. I recommend the Luxury Transportation, provided with Suburban Vehicles or Similar SUV’s. I was impressed by the great service and the professionalism of our driver. He was very kind and reliable and always on time. Now, please, relax and enjoy!